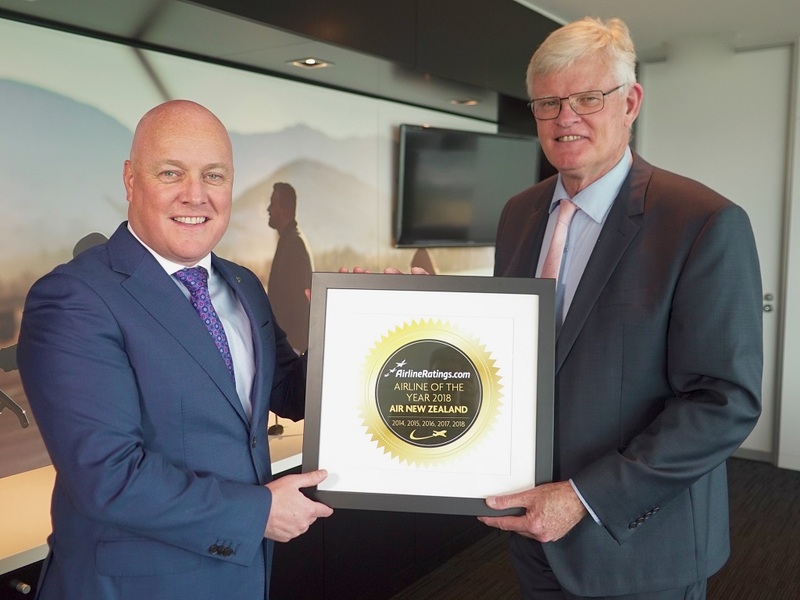 Congratulations to Air New Zealand for taking the top mantle Airline of the Year for 2018 from a safety and product rating Australian website. Yes, the airline of the year 2018, now we know Perth Australia is ahead of us here in the UK, but we didn't think it was that far ahead! Seriously though, AirlineRatings Airline Excellence Awards are judged by six editors with over 180 years' industry experience, combines major safety and government audits, with 12 key criteria – up from nine last year - that includes: fleet age, passenger reviews profitability, investment rating, product offerings, and staff relations. AirlineRatings Editor-in-Chief Geoffrey Thomas said: "In our objective analysis Air New Zealand came out number one in virtually all of our audit criteria, which is an exceptional performance." Air New Zealand CEO Christopher Luxon, pictured left with Geoffrey Thomas receiving the award, said: "This award is a testament to the huge effort from all of our people to deliver a world-class Kiwi experience on the ground and in the air. It is extremely rewarding to see their hard work recognized by such an experienced panel of aviation judges." 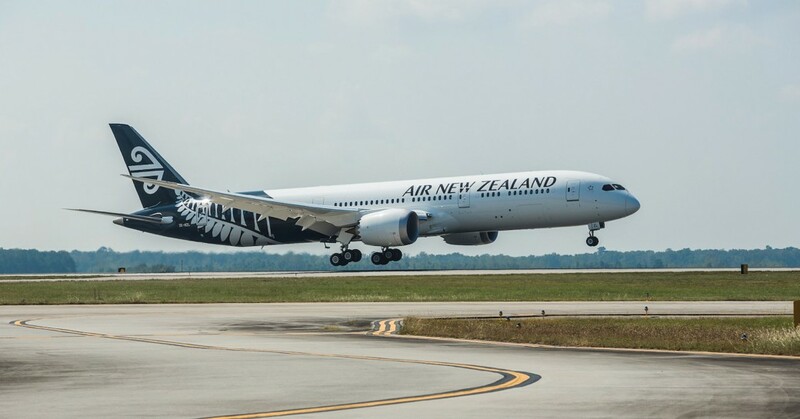 "Air New Zealand is committed to redefining the customer experience and we are looking forward to unveiling many exciting new initiatives in 2018." Other winners in the 2018 Airline Excellence Awards include Qantas, Etihad, Emirates, Singapore Airlines, Scoot, Korean Air, Virgin Australia, Virgin Atlantic, Air Canada, Norwegian, Aegean Airlines, Tianjin Airlines, Westjet and VietJetAir.com. Qantas, won Best Domestic Airline Service, Best Catering and Best Lounges. Singapore Airlines picked up Best First Class and Best Cabin Crew. Korean Air won Best Economy. Virgin Australia won Best Business Class while Best In-Flight Entertainment went to Emirates. Aegean Airlines won Best Regional Airline and Tianjin Airlines Most Improved Airline. Excellence in Long Haul travel: Air Canada (Americas), Virgin Atlantic (Europe), Etihad Airways (Middle-East/Africa) and Korean Air (Asia/Pacific). Best Low-Cost Airline; Westjet (Americas), Norwegian (Europe) and Scoot (Asia/Pacific).